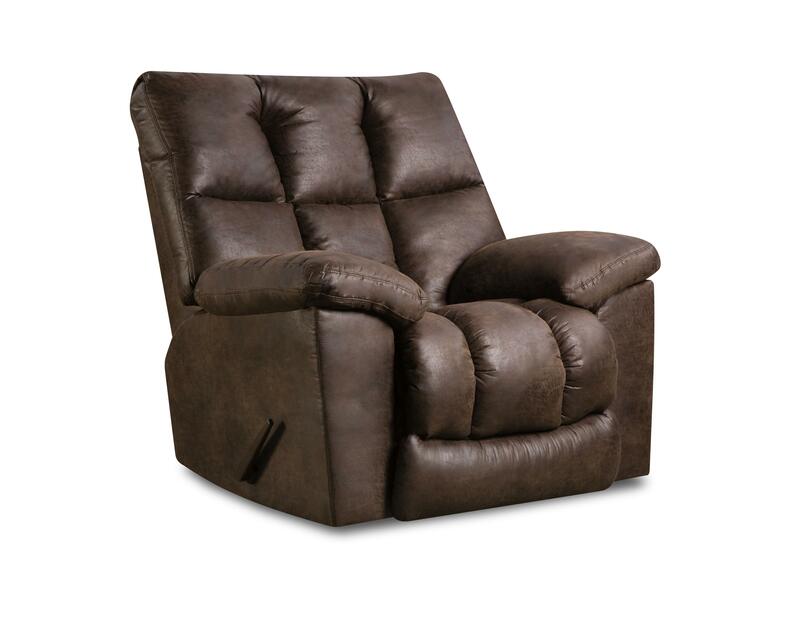 Add this rocker recliner to your home for complete comfort. From the heavily padded arms and back to the plush pillow arms this chair will provide you with head to toe comfort. This chair gently rocks back and forth for relaxing movement. The U694 Rocker Recliner with Pillow Arms and Tufted Back by United Furniture Industries at Furniture Fair - North Carolina in the Jacksonville, Greenville, Goldsboro, New Bern, Rocky Mount, Wilmington NC area. Product availability may vary. Contact us for the most current availability on this product.